We have been very busy this Fall as we have distributed lapghans at 3 Veteran Stand Downs and 3 VA hospitals in addition to some individual distributions. In August, we sent 100 lapghans to Walter Reed National Military Medical Center in Bethesda, MD for distribution. In September, our Alabama chapter distributed 39 lapghans to the Central Alabama VA Hospital in Tuskegee, AL. This October, we sent 51 lapghans to Clement J. Zablocki Veterans Affairs Medical Center in Milwaukee, WI for distribution, a dear friend of Sgt. P’s Lapghans for Veterans distributed 60 lapghans at the Northcoast Veterans Stand Down in Ferndale, CA, our volunteers distributed 36 lapghans at the Northwestern Illinois Stand Down and Welcome Home Event in Freeport, IL, and today at the Top of Illinois Veterans Stand Down in Rockford, IL, we distributed 87 blankets, 94 pairs of gloves, 38 hats, and 48 scarves. Thank you to all of our volunteers for their hard work and labor of love. Thank you to all of our supporters who have helped us continue our mission with their monetary donations and donations of much-needed yarn. And above all, thank you to our men and women who have or are currently serving our great nation. On Friday, June 10, 2016, just four days before our 2nd Anniversary, we presented Marine Corps Veteran and President and Founder of Oscar Mike, Noah Currier with our 1000th lapghan. Our 1000th lapghan was actually a full-sized afghan made by Volunteer Bobi Jo which also won First Place at the 2015 Boone County Fair. 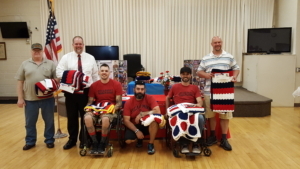 In addition to our 1000th lapghan, additional lapghans were presented to Army Veteran Carl Duoczak, Marine Corps Veteran Jesus Gallegas, Army Veteran John McGillivray, Marine Corps Veteran Daniel Miller, and Army Veteran Mason Symons. Thank you to John Hugo Kaiser VFW Post 1461 in Belvidere, IL for hosting the ceremony. Check out our 1000th Lapghan Presentation page in our photo gallery for additional photos. Hope everyone had a wonderful holiday. I have been extremely busy hand delivering lapghans at the various VA Hospitals and also making presentations about our organization. I cannot believe that we have given out 708 lapghans, not to mention scarves, hats, gloves, mittens in 18 months. Unbelievable! I could not have done this without all of the help of my wonderful and dedicated volunteers! You know how I like hugs soooo hugs to all of you. We made our trip to the VA Hospital in Madison, WI. and hand delivered 45 lapghans on 12/16/15. Everyone was so excited to receive them and we got lots of hugs too. On 12/30/15, we did a power point presentation to the Belvidere Rotary Club. We were also mentioned on the Boone County CASA Facebook page, which I shared previously. 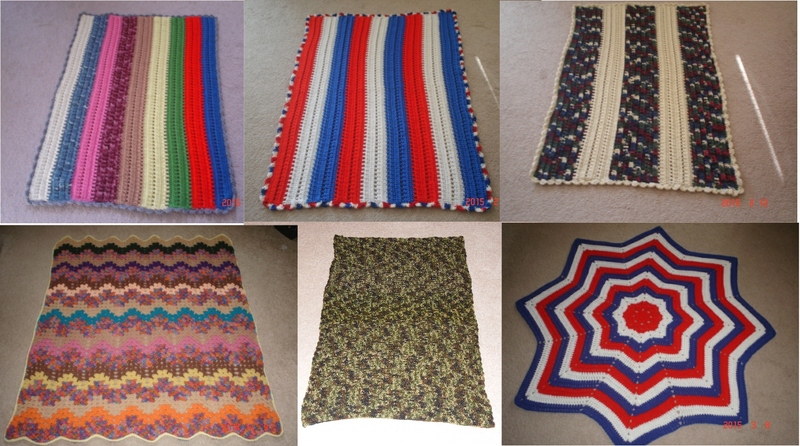 We have an exciting new year ahead of us with plans to expand our lapghan distribution to other areas. We are busy planning fundraisers for the year, as well. More presentations are planned so we can continue to promote our organization. I am involved with the Mental Health Advocacy Council at the Rockford VA and I am also helping out with the planning of an Agent Orange Town Hall Meeting that will take place on April 23rd at noon at Rockford University. We are behind on posting a lot of the lapghan pictures and will try to get them up soon. This week has been an extremely busy one. I have so much news to share that I don’t even know where to begin. On Wednesday, we were honored to be a guest speaker for Mrs. Chris Corson’s Transition – Vocational Class at Belvidere North High School. Her class picked my organization to make 3 fleece lapghans and are working on a forth one. The fleece lapghans were beautiful. Each of her students signed the tag that we always attach to each lapghan. The tag has a picture of my dad and our logo along with the phrase, “Made with love, gratitude, and appreciation for your sacrifice and service.” The students did a wonderful job and the lapghans will keep our Veterans warm as much from the love that was instilled in each one of them, as the soft, warm fabric. We then proceeded to pick up 4 beautiful lapghans from one of my volunteers. They are made from a heavier soft yarn and filled with a lot of love. She has also been trying to recruit more volunteers for me. From there, we proceeded to the Keenage Center in Belvidere. We were able to pick a day and time when everyone will be able to meet, socialize and make lapghans. This information will be put in the next Keenage Newletter and I will be contacting all of my volunteers to let them know the day and time. While I was at the Keenage Center, the Veterans were having their monthly coffee and I was warmly welcomed to speak about my organization. The Veterans greeted my husband and me as if we were one of them. What an honor! After our meeting and a quick tour, I picked up one lapghan that was made by a 93-year-old lady for our Veterans. There were 2 other lapghans that were made and donated as well as 2 bags of donated yarn. All of these lapghans had vibrant colors and are beautiful. The yarn is so appreciated! Without the yarn, we cannot keep this organization going. 1 to a Veteran that served 23 years of which 6 were with the Air Force and 17 years were with the Army. It was truly a heartwarming and very gratifying experience to see the smiles on all of the Veterans faces. This small token of appreciation from our organization is nothing compared to all the pain, suffering, and sacrifices that they made for our freedom. Meeting and speaking with the Veterans makes me strive harder to keep this organization successful. On Friday, I went to pick up 3 more beautiful lapghans made by another volunteer. The patterns are wonderful and the colors are bright and very cheerful. One of them even has hearts on it. Once again, a big THANK YOU to all of my supporters! I wish that each and every one of you could have seen the joy we brought to these Veterans. If you do not use facebook, please check out the post from November 22nd. My daughter and social media guru accidentally overlooked that post and only recently added it to the official website’s news blog. This week has been a very productive one. We welcomed 2 new volunteers, received some donated lapghans and some yarn was also donated. The Belvidere Keenage Center was gracious enough to run our article again in their newspaper. Last night, I was also interviewed by the editor of the Belvidere Daily Republican Newspaper for an article that will be in the Veteran’s Day edition. Cub Scout Pack 141 is going to do a yarn drive for me some time this month and they will be distributing flyers at the Veterans Day parade. The Cub Master has also arranged for 2 central drop off locations that will accept yarn donations all year long. So our organization is moving in the right direction. 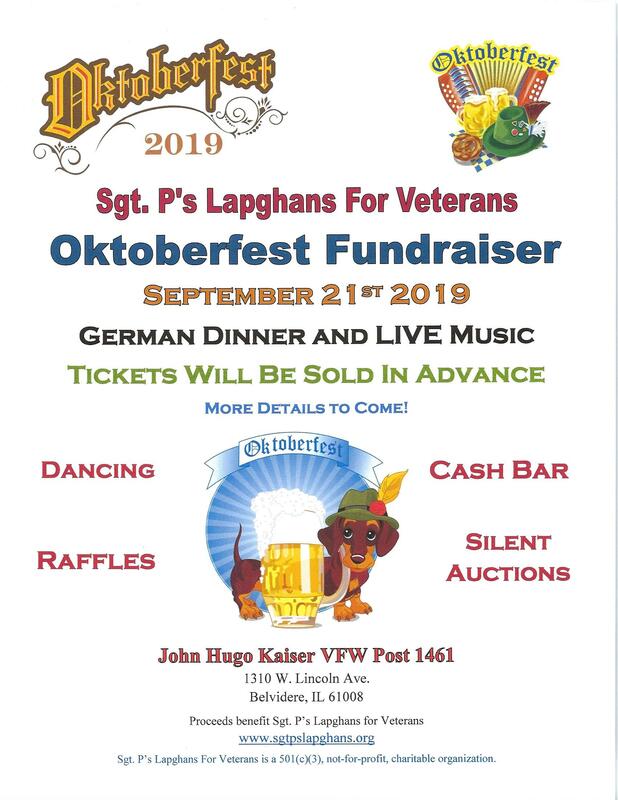 Maybe we will be able to achieve a goal of providing 150+ lapghans to the Veterans Stand Down next year as well as additional lapghans for the VA hospitals and clinics. Wouldn’t that be wonderful!! Yesterday, we attended the 2014 Top of Illinois Veteran’s Stand Down. We gave out 27 lapghans, 3 full size afghans, and 2 scarves in the first hour and a half. 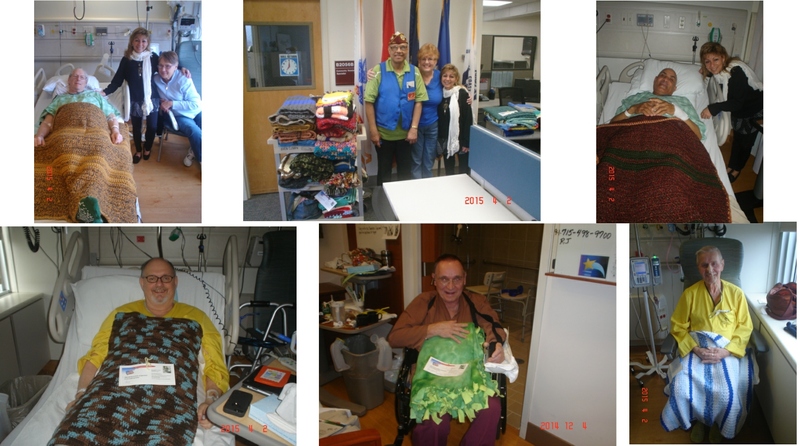 You don’t know what a wonderful feeling we had giving these items out to the “less fortunate”and “homeless Veterans”. My only regret was that I was unable to provide a warm lapghan/afghan to all 150+ veterans that turned out for this event. It is a real shame that so many of our veterans are homeless and speaking to them, brought tears to our eyes. They made so many sacrifices for us so we could have our freedom. The least I could do was provide them with a warm lapghan. Our goal for next year will be to have as many as possible lapghans for next year’s Veterans Stand Down. My organization will continue to obtain yarn donations so that it will be possible to make these lapghans. Wouldn’t it be wonderful to have enough yarn to be able to distribute one to each and every Veteran that attends next year??? Once again, I want to thank everyone that donated yarn in the past as well as my volunteers who put in countless hours making these lapghans. I want to thank my husband, Pat for all of his support and help in loading and carrying these boxes of lapghans to their destinations. I want to thank my daughter, Colleen for her help with social media, advertising, and all the computer work that she does for this organization. I want to thank my son, Patrick and his wife Marie and grand-daughters for all of their support too. We have so much to be thankful for and we all need to count our blessings. With everyone’s help, let’s try and reach our goal of being able to provide 150+ lapghans next year!!! Here is an update on what’s been going on. Since my last post, I have received 9 completed lapghans and 2 bags of donated yarn from the Belvidere Keenage Center. Thank you to the people who made these donations. Today, I dropped off a lapghan and I stopped by a thrift store and purchased some yarn. I can’t believe that they had yarn. Usually, I have no luck finding some at thrift stores, but today I was lucky. The lady there said that it came in yesterday and because I was purchasing it for charity, she gave me a discount. FANTASTIC!!! We also welcomed 2 new volunteers to our organization. We will be attending the Veterans Stand Down later this month and will have some lapghans to distribute. We are planning another trip to the VA Hospital in Madison some time in November so we are trying to get as many lapghans as possible done in time. So, we have been BUSY, BUSY, BUSY. 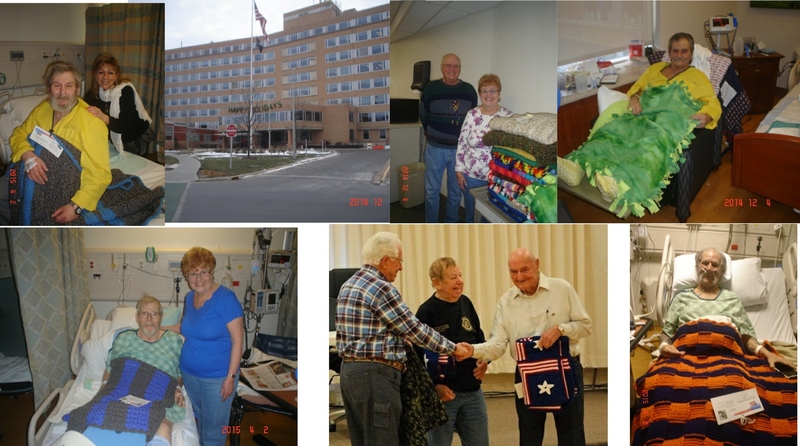 Thursday, I hand delivered 28 lapghans to the William S. Middleton Memorial VA Hospital in Madison, WI. The looks on the Veterans faces makes this all worthwhile. I can’t even explain how rewarding it was. All the Veterans loved the lapghans. 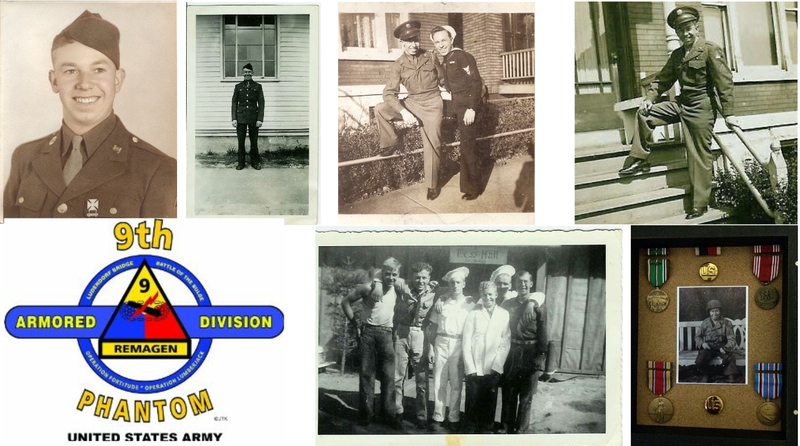 18 lapghans went to Army Veterans, 2 went to the Navy Veterans, 3 went to the Marine Veterans, 2 went to the Air Force Veterans, 3 were unknown as to what branch of service they were in. I also dropped off 2 lapghans to the V.A. Drop In Center in Belvidere, IL. This is what it’s all about! I even got some hugs from the Veterans. They made me laugh and some of them made me cry when I saw what condition they were in. Some pictures will be posted on my website and on facebook over the weekend. Friday, I went to garage sales looking for yarn but didn’t have much success. Only found two partial skeins of yarn. A note to my volunteers, yarn distribution is underway. Please be patient. You will receive an email from me some time this weekend. Thank you everyone for your blessings and support. Dreams do come true when you believe in a worthwhile cause!! Today, an anonymous donor donated 25 lapghans for our veterans. God bless her. They are beautiful! My organization also received a generous donation of wool yarn from a yarn company. This yarn is wonderful and the colors are vibrant. These will make warm and beautiful lapghans for our veterans. I can’t thank you enough for your generosity. We are finally getting our name out there. Everyone, please continue to support this organization and our veterans. If you see yarn at a thrift store, garage sale, estate sale, ebay or craigs list – please consider picking it up for our organization or making a contribution on “Go Fund Me“. While, we have a good start, we will need to work together to keep this going. A BIG thank you goes out to everyone who has supported us so far.